We are a family of eight currently living in the greater New York City area. 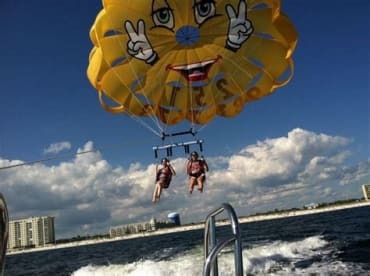 We have vacationed in Orange Beach forever and still come down a few times a year! Jenny grew up on the Gulf Coast and we were married in Fairhope, AL. The Gulf Coast is a special place for us and we have watched our 6 children grow up on the beach every summer for over 20 years! We were thrilled to buy a condo at Bluewater in 2013 and have worked hard to make it a home away for ourselves as well as our guests! We have stocked the condo with everthing that a family would need to have a perfect beach vacation! We love knowing that our condo is being used by families as they make wonderful beach memories every year! !